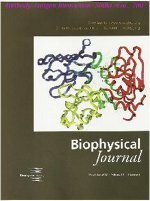 Publications in broad areas of biophysics, specifically relating to protein flexibilities, protein electrostatics, molecular recognition, structure-function relations, computational thermodynamics, theoretical thermodynamics, molecular mechanics, computational biology, and drug design. Sinha, N., Li, Y., Lipschultz, C.A., and Smith-Gill, S. J. (2007) Understanding antibody-antigen associations by molecular dynamics simulations: Detection of important intra and inter-molecular salt-bridges. Cell Biochemistry and Biophysics. Sinha, N. and Smi th-Gill S. J. (2005). Molecular dynamics simulation of a high affinity antibody-protein complex: The binding site is a mosaic of locally flexible and pre-organized rigid regions. Cell Biochemistry and Biophysics 43: 253-273. Allen, JWA., Barker, P., Daltrop, O., Stevens, JM., Tomlinson, EJ., Sinha, N., Sambongi, Y. and Ferguson, SJ. (2005). Why isn't standard heme good enough for c-type and d1-type cytochromes? Dalton perspective. 3410-3418. S. Mohan, Sinha, N. and Smi th-Gill S. J. (2003). Modeling the binding sites of anti-Hen Egg White Lysozyme Antibodies HyHEL-8 and HyHEL26: An insight into the molecular basis of antibody cross-reactivity and specificity. Biophysical J. 85:1-16. .
Sinha, N. and Smith-Gill S. J. (2002). Protein structure to function via dynamics. Review. Protein and Peptide Letters. 9: 367-377. Sinha, N. and Smith-Gill S. J. (2002). Electrostatics in protein binding and function. Review. Current Protein and Peptide Sci. 3. Sinha, N. and Nussinov, R. (2001) Point mutations and sequence variability in proteins: Redistributions of preexisting populations. PNAS USA. 98:3139-3144. Sinha, N., Tsai, C-J. and Nussinov, R. (2001). A proposed structural model for amyloid fibril elongation: domain swapping forms an interdigitating beta-structure polymer. Protein Eng. 14:93-103. Sinha, N., Kumar, S. and Nussinov, R. (2001). Inter-Domain Interactions in Hinge-Bending Transitions. Structure: Folding & Design. 9. 1165-1181. Ma, B., Kumar, S., Tsai, C-J., Wolfson, H., Sinha, N. and Nussinov, R. (2001). Protein--Ligand Interactions: Induced fit? Encyclopedia of Life Sciences. Macmillan Publishers Ltd, Nature Publishing Group. Kumar, S., Ma, B., Tsai, C-J, Sinha, N. and Nussinov, R. (2000) Folding and binding cascades: dynamic landscapes and population shifts. Protein Sci. 9:10-9. Review. Sinha, N. and Ferguson, S. J. (1998). An Escherichia coli ccm (cytochrome c maturation) deletion strain substantially expresses Hydrogenobacter thermophilus cytochrome c552 in the cytoplasm: availability of haem influences cytochrome c552 maturation. FEMS Microbiol Lett. 161:1-6. "A span remains tucked alogside the five senses. Our preceptivity (the five senses) is a part of the space-time, while the hidden reality, that of the Watcher, together with the order of space-time would constitute the ultimate texture." Self-knowledge is to acknowledge the transitory (mass-energy) and the one which remains constant (the watcher) of a living span. The above book outlines the ultimate reality mostly in non-scientific terms. My upcoming book approaches the Ultimate Reality in scientific terms. The upcoming book utilizes concepts in mathematics and theories in advanced physics to access the Ultimate Reality, of how the universe, and its parallel forms exist and continue—as a system that subsumes consciousness. 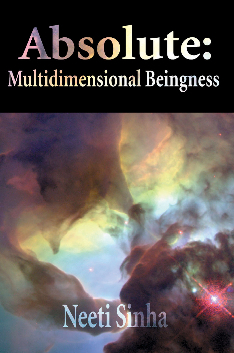 Absolute: Multidimensional Beingness was published in 2006. I have recently put its print on hold, mainly because I want to give a scientific spin to its contents. Listed below are its chapter titles. The chapters mostly address the Ultimate Reality, from humanistic perspectives. In search of the real. The psychology behind your emotions, feelings and thoughts: The mind. The essence of being: The is-ness of life.